If you’ve Googled “Lost of Stolen Canadian Passports”, “Canadian Passport Theft”, or “Canadian Passport Fraud”, you’ve come to the right place. Your Canadian passport is singularly the most valuable and important piece of government issued identification you have. It identifies you as a Canadian citizen when traveling internationally and can get you out of sticky situations. Sadly, they are the in the top 5 most in demand passports globally for criminal organizations, smuggling rings, and human trafficking networks. Canadian passports are hot commodities. 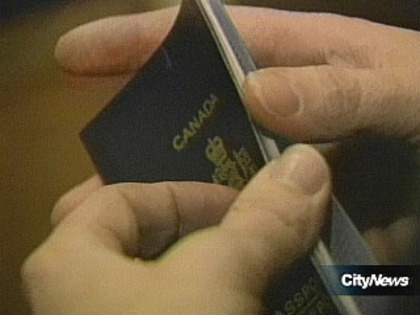 According to the RCMP, even old or cancelled passports are valuable and can be sold. In 2007, 37,650 Canadian passports were reported lost or stolen, compared to 24,792 in 2005. Passport Canada circulated in a memo warning staff to double-check applications for new passports when the old document is reported missing. In February 2008, Passport Canada began cross-checking applicants’ names with the Canadian Police Information Centre, which links law enforcement organizations across the country. We wanted to give 4 tips for keeping your passport safe when travelling. Take two photocopies of your passport before your travel. Leave one with a relative or friend and take the other with you, keeping the copy separate from the original. Keep your passport with you when travelling to your destination. Keep it in your hand luggage or in a zipped pocket. Know where it is at all times so that it can be produced promptly when asked for. Be wary if ever you are asked to surrender your passport. While some foreign officials may ask for your passport, as may some hotels, check with your travel operator or the Canadian consulate whether or not this is standard procedure. Should your passport be stolen or lost while abroad report it to the local police and get in touch with the nearest Canadian consulate or embassy for further advice. Just a note that your website is very useful. I’ve bookmarked it in my browser. I travel often, and even though I renewed my Canadian passport about a year ago, had I known about your service, I would have used you in a heartbeat. I endured a rejection and almost missed a planned trip to Egypt to visit my daughter. This post in particular is great. Word of advice: Never, ever surrender your passport if asked unless someone provide valid identification. I had this experience in the middle east, and there are networks of fraudulent individuals posing as police officers. I learned that a valid Canadian passport can go for as much as $2000 on the black market.